Why Don't People Like My Page? As promised, if a question is sent in, it will be answered here. I had so many questions sent in yesterday I had to respond directly to some. I'm trying to avoid sending out more than one 'Five Fifteen Report' per day. Please bear with me. Today's question: "I've done everything I know to do, but I still don't have a bunch of likes on my Facebook page. So.. why haven't a bunch of people 'liked' my Facebook page? Likes really don't mean as much as you think. I can buy 1000 "likes" for $5. If I were really vain, I'd have done that a few years ago. 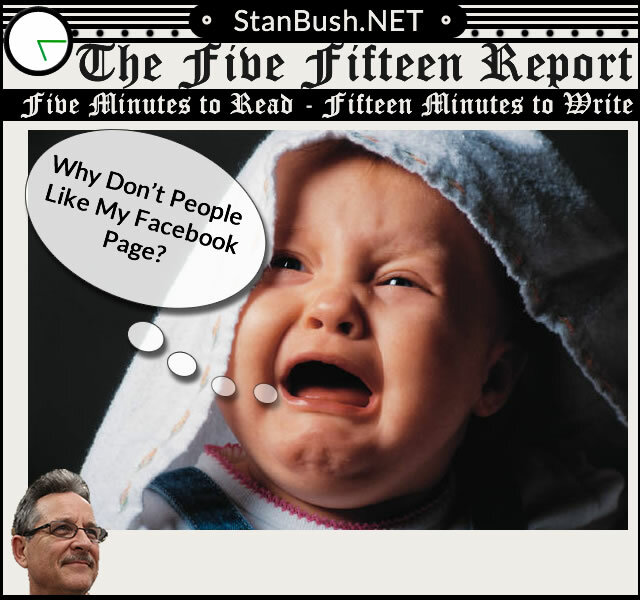 The best way to answer this question is to start by asking "Have you ever had an email from Stan Bush or any company that he represented asking you to 'like' my page?" The answer is no. There are reasons for this. What does it mean when somebody likes my page? The same thing it means when somebody drives by your business and says to their companion "I like those guys!" Especially on Facebook. It doesn't really mean much of anything. Unless you do something to encourage them to come in and shop with you, it really is just a bunch of noise. Only when you're trying to be something you're not. It's a fact of life that not everybody 'likes' you. You may 'hope' they do... but if you spend all your time trying to please everyone, you're not going to be very happy with what you become. The only time 'likes' matter is when someone is authentic. That's what we are going to work on...getting some authentic likes. Where will these authentic likes come from? In the beginning, some of them will come from YOU. By 'YOU' I mean the people who are receiving this email. I will put together a list of the pages of the list subscribes, and setup a list of them for you. That list will grow as everyone begins to figure out the purpose of these emails. You can trust that I have a plan on this. How will I use this information? Because you're on this list... you're connected to each other. That in itself is enough to make a difference. 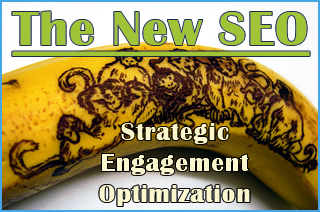 I could insert boring information about Search Engine Stuff here, but I won't. I'm not going to get into that kind of thing. I'll just tell you that there is a more personal side to this story than stupid technolgy stuff. Just hang around and you'll see. I have been involved in more than one group like this. You're going to like the results. Trust me. The more connections you have, the larger your database of human knowledge you can call on. This newsletter can help you do that. If you have a technical question, just hit reply and it will go directly to me. I will try to answer it via a Five - Fifteen within a week. If you find this sort of communication valuable, then please forward it to a friend. Not only will you be doing me a favor, but making those connections will help you with your online presence. This newsletter will tell you how. Just use the 'forward this email' button at the bottom of this. Do it now! If each of you forwarded it just three time, it would double YOUR connections. and that's important to me.